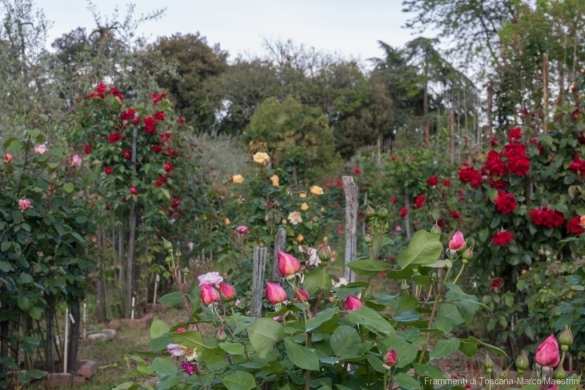 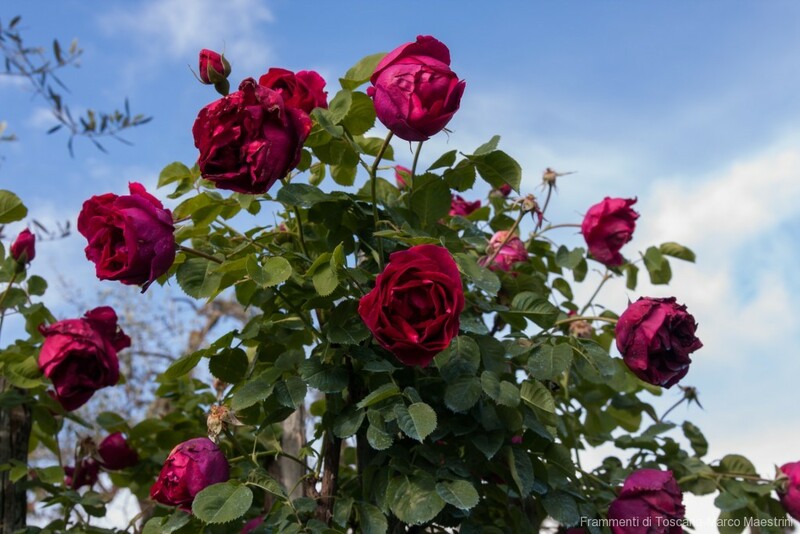 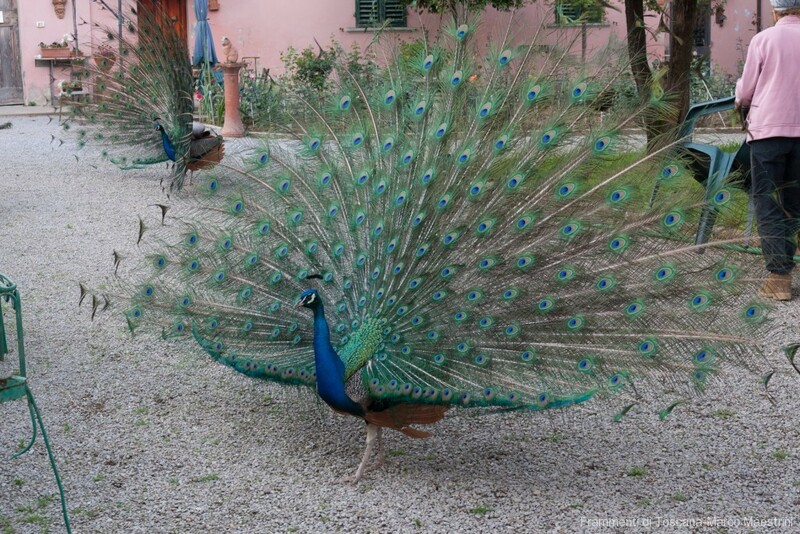 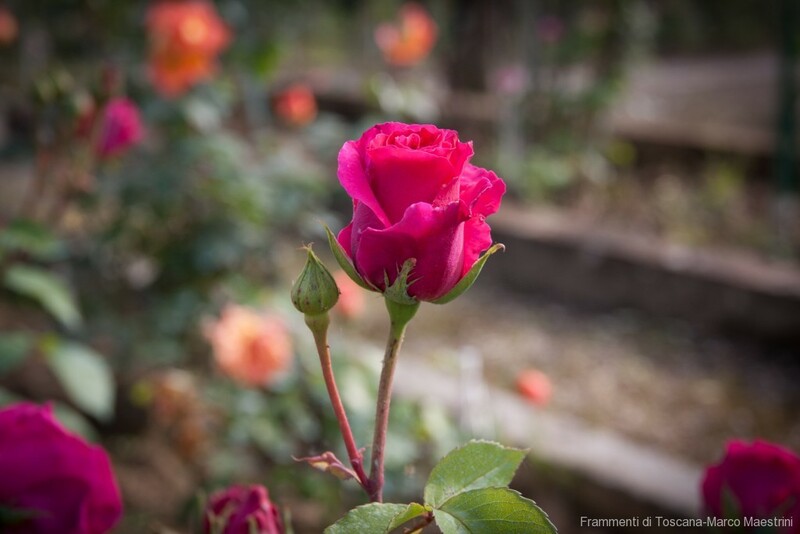 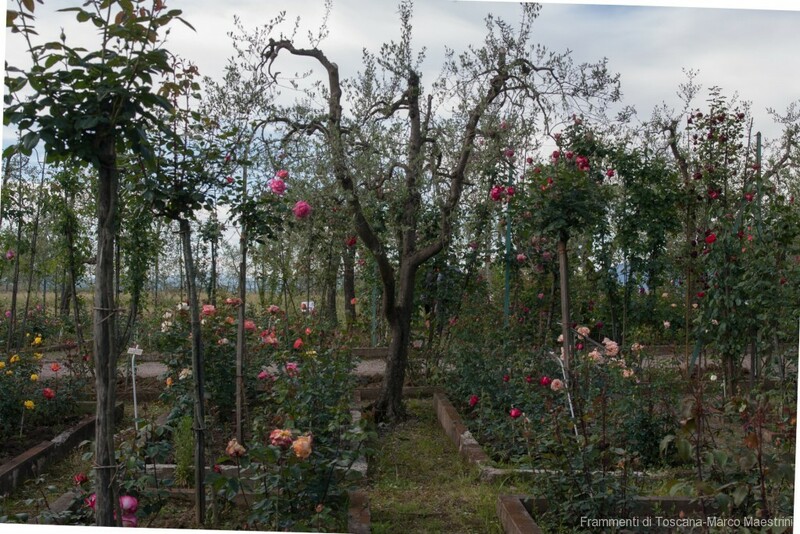 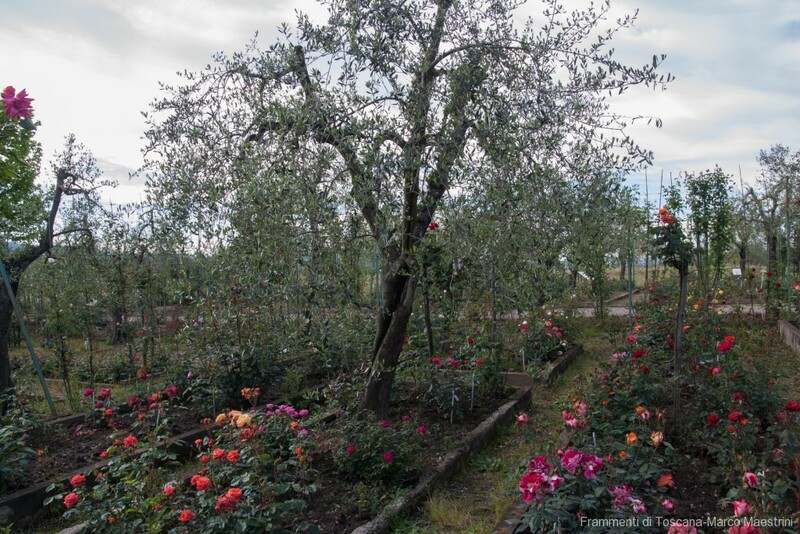 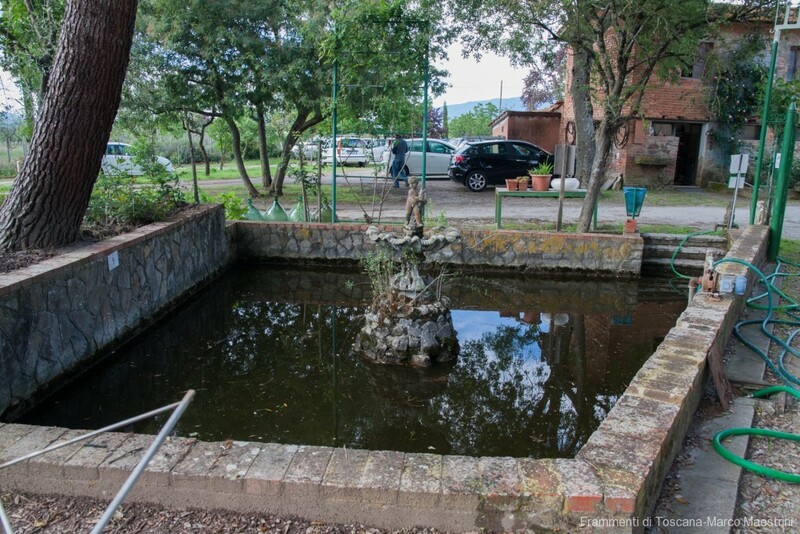 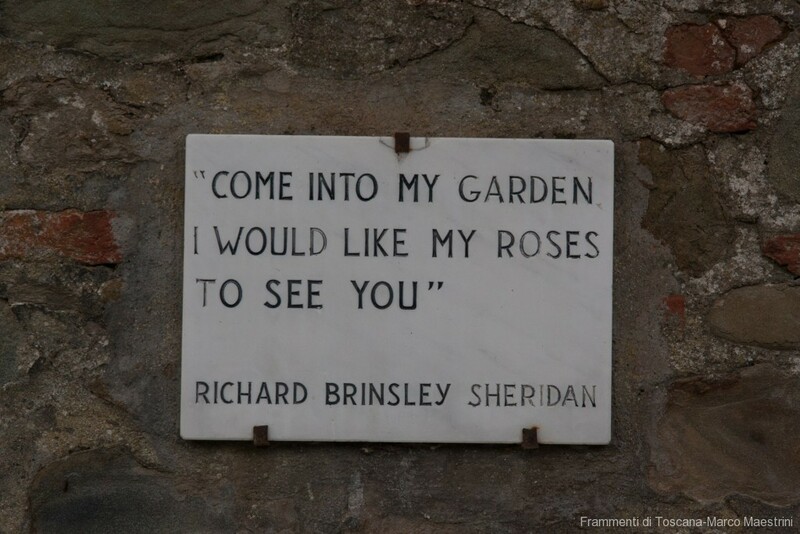 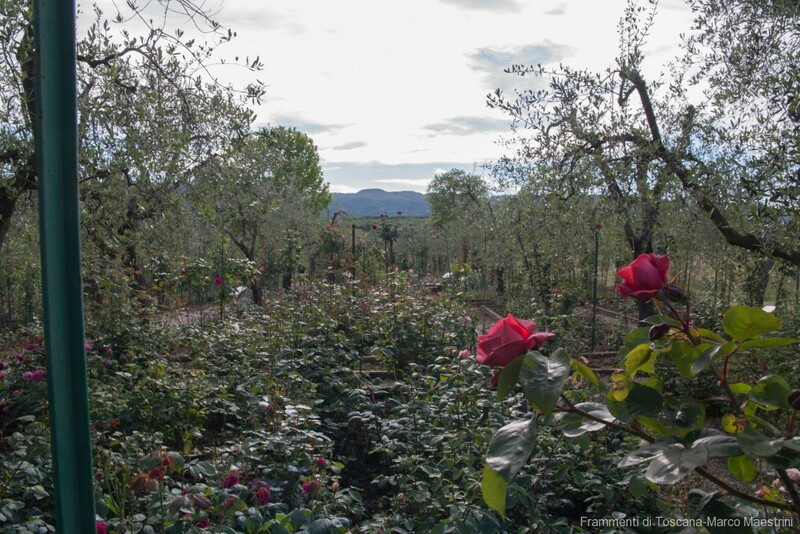 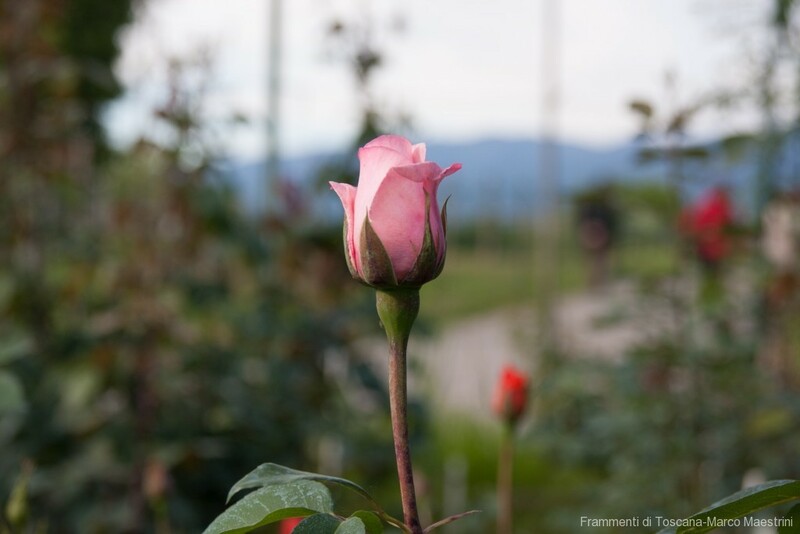 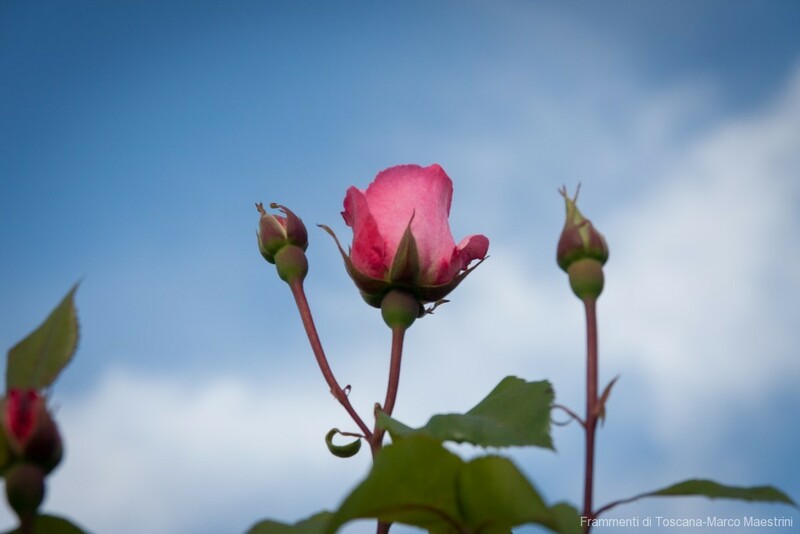 A few hills away from Chianti, in the Valdarno valley in the surroundings of a little town named Cavriglia, an enchanting garden welcomes its visitors with over 6000 varieties and species of roses. 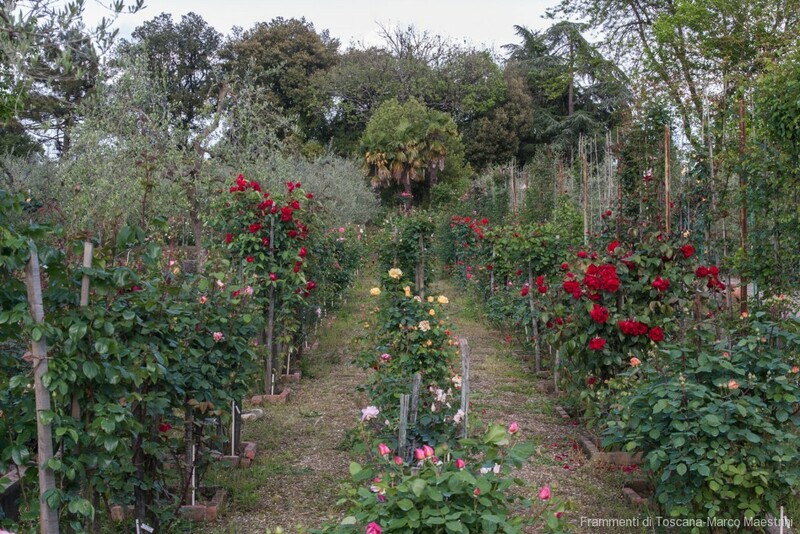 Just 50 km from Florence and 30 from Arezzo, this little paradise of scents and colours is at its peak every year in May and June. 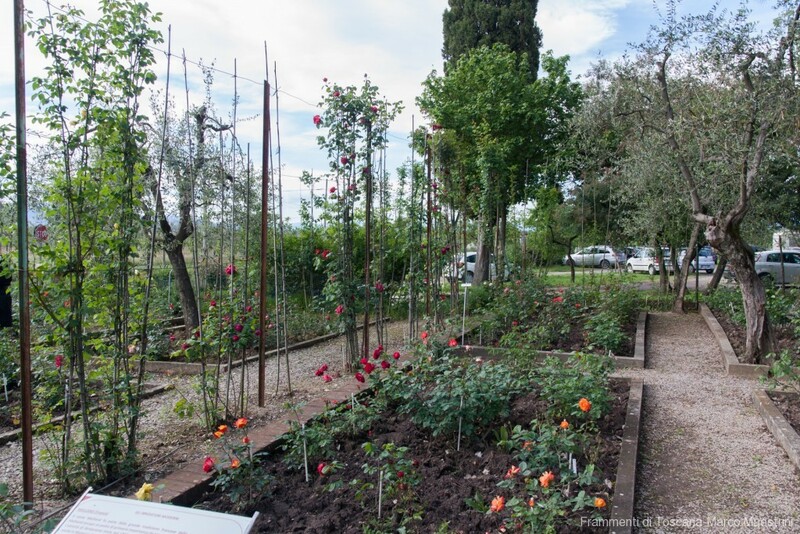 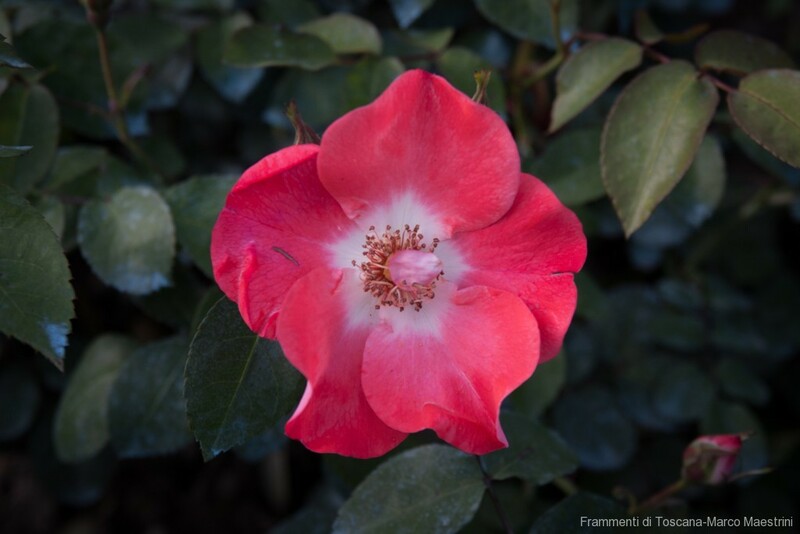 The rose garden Roseto Botanico “Carla Fineschi”, dates back to 1967 thanks to the initiative of the Professor Gianfranco Fineschi, teacher at the Cattolica University in Rome, who in the years henriched its botanic collection with new varieties coming from all over the world. 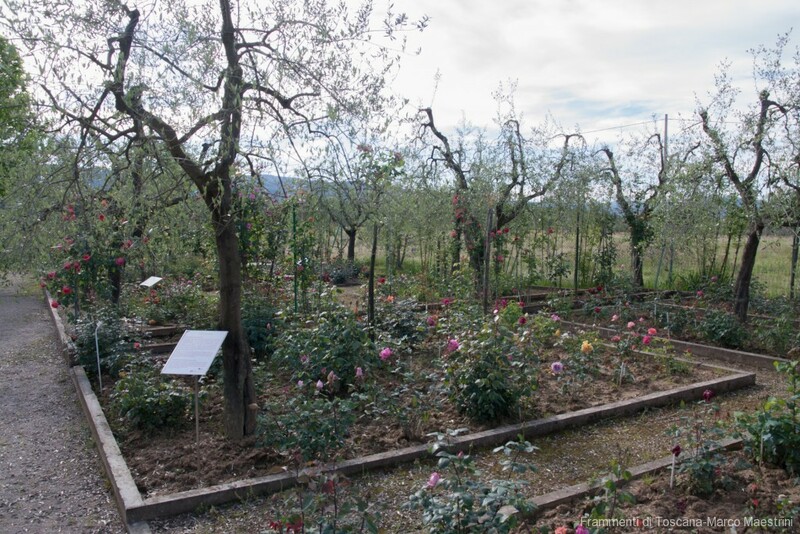 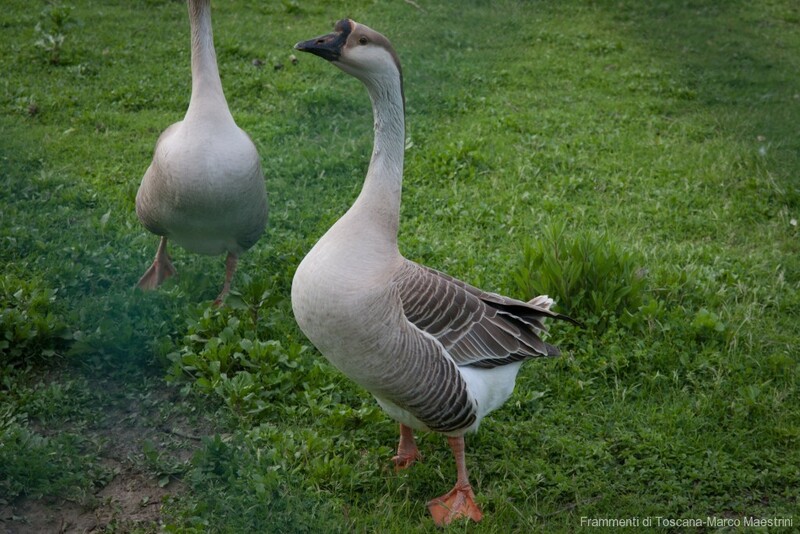 The queens of flowers have been organized in the different pitches of the garden according to precise classification schemes, and represent a lively and real open air museum. 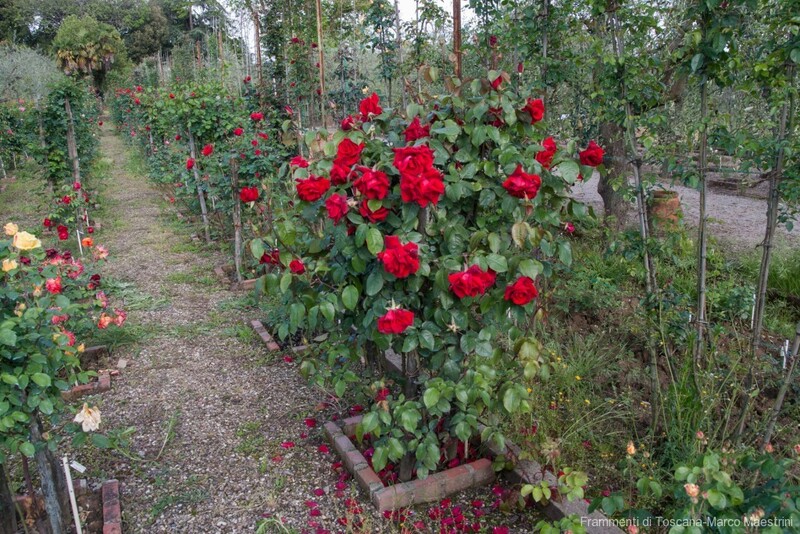 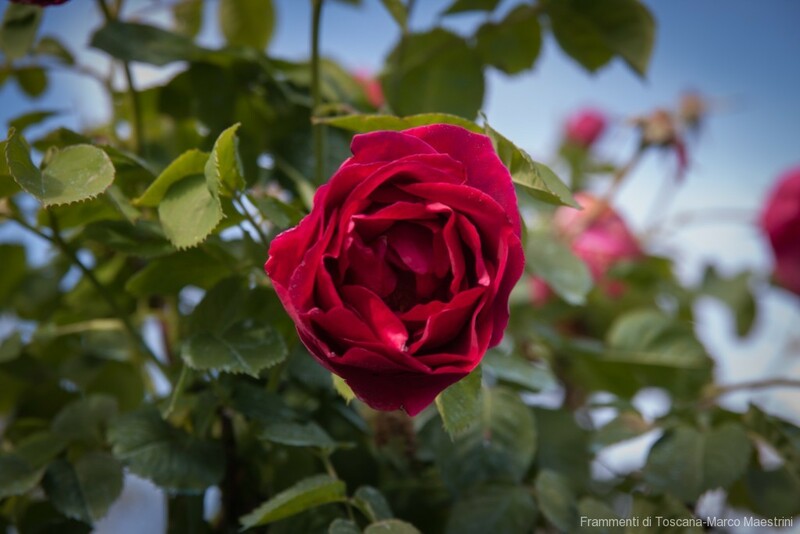 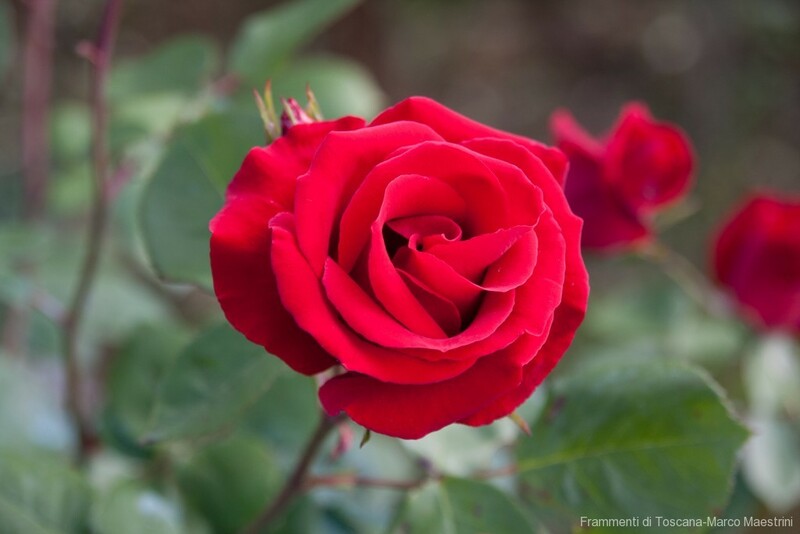 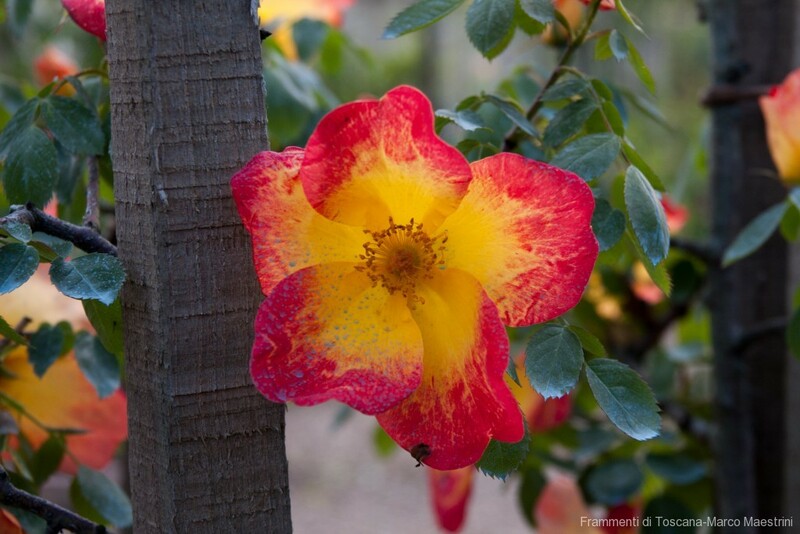 A part of the collection is made up of wild roses coming from the most different parts on Earth, another one is devoted to the ancient roses (botanic roses) and to the modern roses, obtained through crossbreeding. 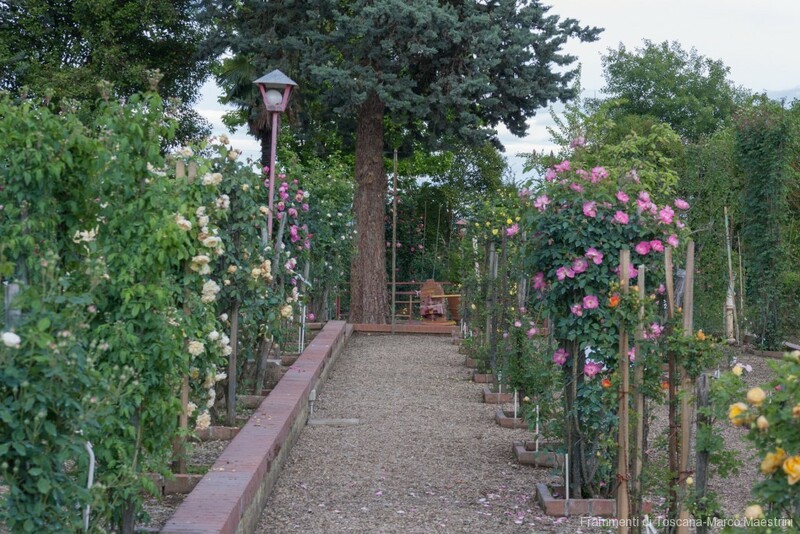 Visiting the rose garden is a walk through a magic, colourful, scented world, where the most celebrated of all flowers take the visitors into a magic atmosphere, with their shapes, shades and fragrances, along with beautiful animals such gorgeous peacocks, that right in Springtime are in the mating season display their train, dance, and call out in order to attract the females. 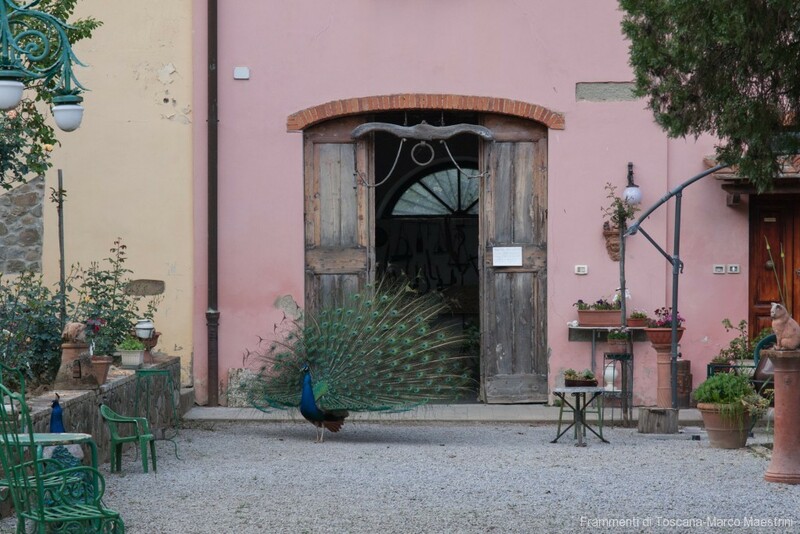 It’s kind of fairy tale that is worth to be immersed in! 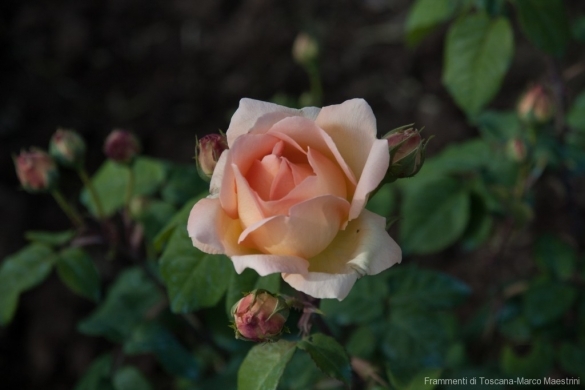 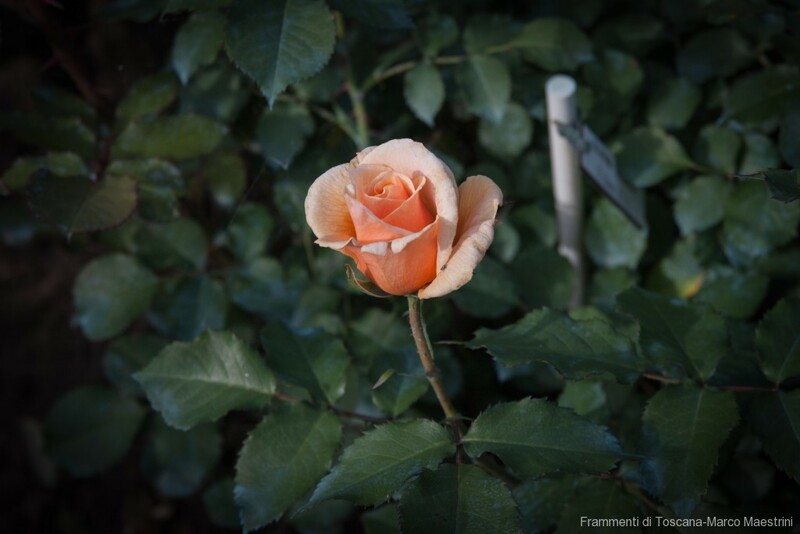 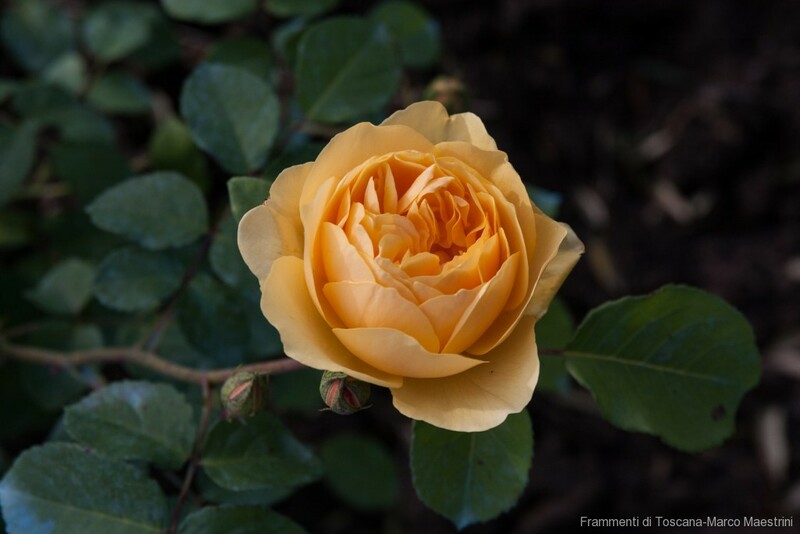 At the end of the visit it is possible to have access to a small nursery where to buy some rose plants for our gardens at home: we chose a very scented variety with large apricot petals. 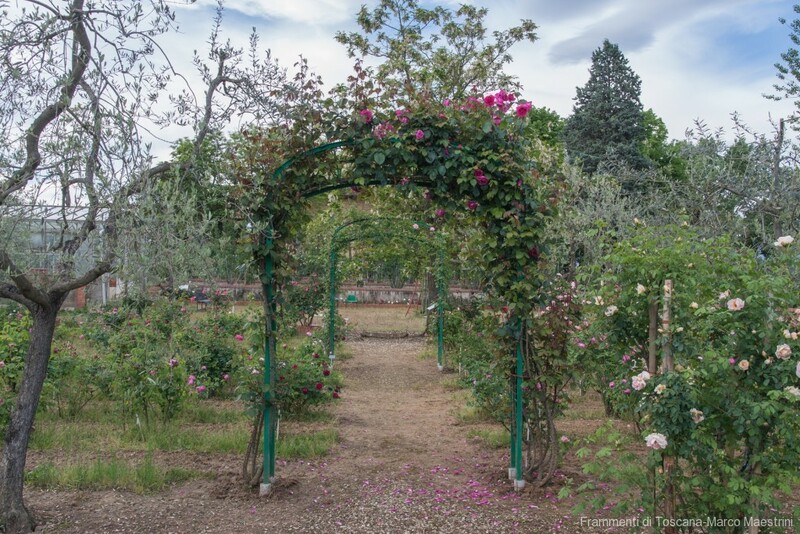 The Rose Garden can be visited both on working days or holidays from the first Sunday in May up to the last Sunday in June, from 9 am to 7 pm. 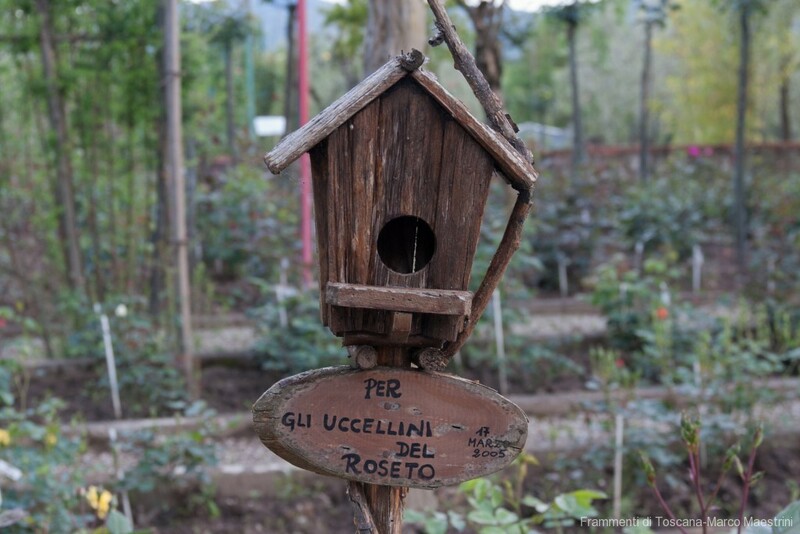 Big groups need to book in advance ( tel +39 366 2063941, fax +39 055 96.66.38, info@rosetofineschi.it. 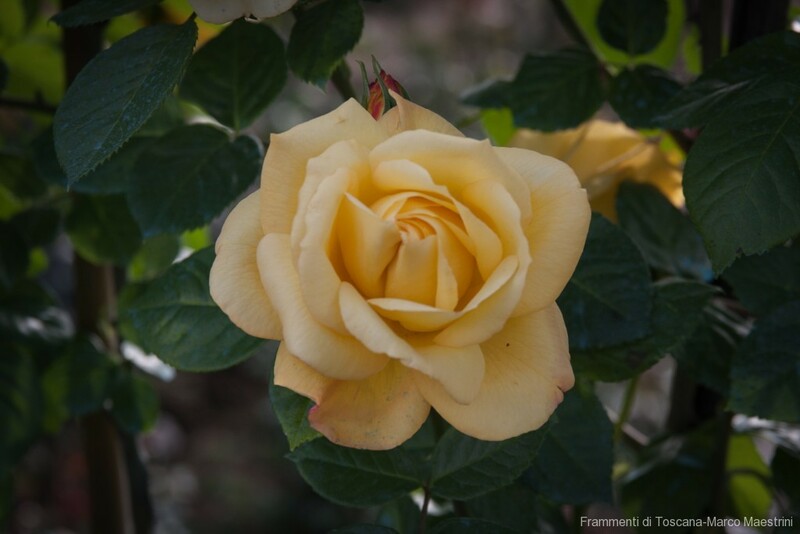 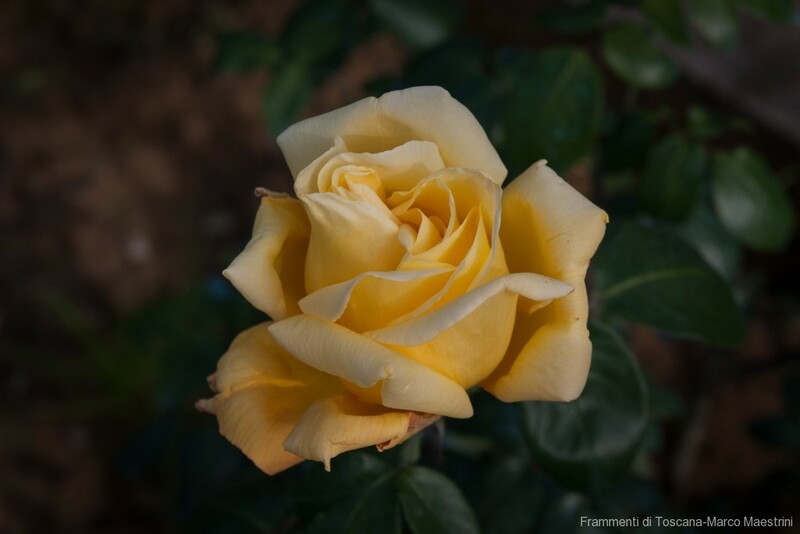 The entrance ticket (€ 6,00) corresponds to donation to the Foundation for the preservation of the rose garden .